E-waste is a popular, informal name for electronic products nearing the end of their useful life. E-wastes are considered dangerous, as certain components of some electronic products contain materials that are hazardous, depending on their condition and density. The hazardous content of these materials poses a threat to human health and the environment. Discarded computers, televisions, VCRs, stereos, copiers, fax machines, electric lamps, cell phones, audio equipment, and batteries if improperly disposed of can leach lead and other substances into soil and groundwater. Many of these products can be reused, refurbished, or recycled in an environmentally sound manner so that they are less harmful to the ecosystem. There are many materials that can be recovered from old electronics. These materials can be used to make new products, thus reducing the need to mine for new raw materials. For instance, various metals can be recovered from computer circuit boards and other electronics, and the plastics and glass found in computer monitors and televisions can be recycled. Donating your old electronics plays an important role in the provision of refurbished products such as computers and mobile phones, which can be of great help to low-income families, schools, and not-for-profit organizations. It also helps individuals gain access to technology that they could not have otherwise afforded. Considering that around 90 percent of electronic equipment is recyclable, electronics recycling can play a significant role in creating employment. This is because new firms dealing with electronics recycling will form and existing firms will look to employ more people to recover recyclable materials. This can be triggered by the increase in the demand for electronics recycling. Many electronics have toxic or hazardous materials such as mercury and lead, which can be harmful to the environment if disposed of in trash cans. Reusing and recycling electronics safely helps in keeping the hazardous materials from harming humans or the environment. For example, televisions and computer monitors are hazardous since they have lead in them. Printed circuit boards contain harmful materials such as cadmium, lead, mercury, and chromium. Also, batteries in computers and other electronics may contain hazardous materials such as cadmium, mercury, and lead. Instead of keeping old electronics in the house or dumping them in landfills, recycling or reusing them is an appropriate option that should be supported by individuals and organizations. Considering the benefits of electronics recycling, it is very important that people in various parts around the world embrace this concept. 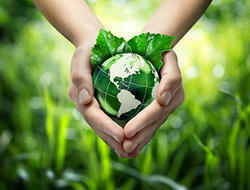 E-waste recycling creates new jobs for professional recyclers and creates a secondary market for recycled materials.